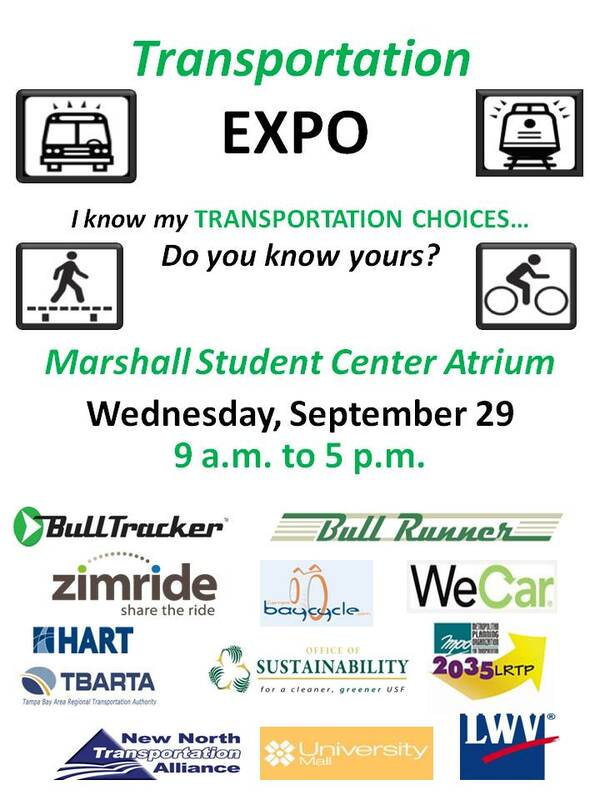 Transportation at USF is not just about cars. 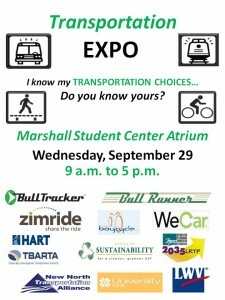 Learn about alternatives for students, staff and faculty at the Transportation EXPO. When: Wednesday, September 29, 9 a.m. to 5 p.m.
HART regional bus service: Students ride for free! For more information, contact Sara Hendricks at Hendricks@cutr.usf.edu.